. Please share what you've been reading. 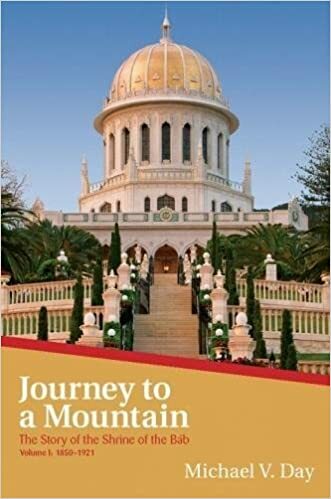 I read Journey to a Mountain - 4 Stars - This book would only be of interest to Baha’is. 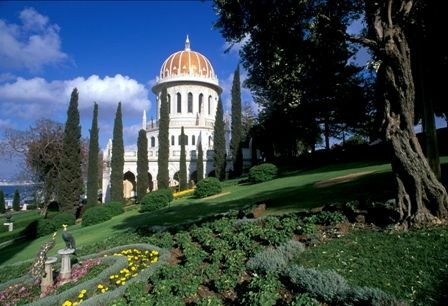 It’s the first in a series of three, about the establishment of one of the shrines in Haifa, Israel. The shrine and the gardens surrounding it, which I’ve had the bounty of visiting a few times, are a UNESCO World Heritage site. The story is moving and dramatic. I knew much of it already, but there were also things that I didn’t know or had forgotten. Why is it that one can read the silliest, most trivial books and remember pointless details, and then one reads the meaningful, deeper books, and one forgets things over time? Grrrr … Annoying! Anyway, I enjoyed reading this so much. I would give it 5 stars. Honestly, I would. I have to give it 4 stars, since I get irritated by too many endnotes. At least my edition wasn’t on the Kindle. If it was, I would probably lose my mind. Me, the Kindle, and endnotes do not agree. Back to the book, it was thoroughly researched, compelling, and beautifully written. I cannot wait to read the other books in this series. Why is it that one can read the silliest, most trivial books and remember pointless details, and then one reads the meaningful, deeper books, and one forgets things over time? I am very happily engrossed in Leif Enger's new book, Virgil Wander. Love his writing. Rebe, I, too, am reading Virgil Wander! I am only on pg. 41 but I am liking it so far. I read a lot this week. I read a book that will stay with me for a long, long time (I love those kinds of books.) Blood Water and Paint (I can't remember the author's name) is based on a true story of an Italian female painter, who lived in the 1500s. Most of the story is written in verse. It is beautifully and cleverly written but it does come with trigger warnings. I also read Marilla of Green Gables by Sarah McCoy. I loved this one as well. I just finished The Bullet by Mary Louise Kelly, a suspense thriller, also very good. Happily adding "Virgil Wander" to my list. Julia, adding most of the other titles that you mentioned also. I'm reading Lots of Candles, Plenty of Cake by Anne Quindlen. I think I'm going to give it a 3. It's about getting older and some of it is laugh-out-loud funny, some of it I skipped because I couldn't relate to it, and some of it hits a little too close to home for where I am in my life right now. It is definitely for older women - she wrote it when she was around age 60. But I'm mostly enjoying it and laughing at some parts, like her descriptions of marriage in later life and friendships as you get older. I had one of those weeks where *3* books came in at once that were on hold. Next up on my list because of check out dates is On Turpentine Lane by Elinor Lipman (anyone read it?) and then The Thin Man by Dashiell Hammett, which I never knew was a book! (I guess the movies were based on the book???). I finished Everyone Brave is Forgiven by Chris Cleave and really enjoyed it. It is set in WWII, and most of the action takes place in London. It starts off on the lighter and wittier side, but the intensity ratchets up substantially. The writing struck me a very witty and clever, and I made notes of random quotes that I had enjoyed. This book would appeal to WWII buffs and anglophiles for sure. I read the interview with the author after finishing the book, and appreciated that he spent hours talking with people who had survived the siege of London in order to make his account of that time as vivid as possible. I hate to say that with all this build-up, the ending of the book feels unfinished. We are left in the middle of the war with a hopeful note, but a feeling that more needed to be resolved. I also saw that a number of reviews were critical of the book. People either loved or hated this one - there was hardly a middle ground. So if you do read it, and you can deal with an open ending, know that if it doesn't appeal to you pretty quickly, it probably never will. I actually did enjoy reading it very much, and would read it again. Perhaps the author has a sequel in mind? I hope so. ...well, what was the countryside if not numberless Heathcliffs, loosely tethered? "One does not rise above the everyday simply because one ought to. In the end I suppose we lay flowers on a grave because we cannot lay ourselves on it." Kathleen, I love those quotes! Joy, the Anna Quindlen book sounds like something I may like. I haven't read anything by her in years. I love this so much. This is 99% of the reason why female friendships were hard for me through my first several decades. Joy, I need to look for that Anna Quindlen book. I like her nonfiction a lot - her fiction, not so much. This week I'm reading either Listen to the Marriage by John Jay Osborn (author of The Paper Chase, Park Bench (Chaboute) or the new Kate Morton book , The Clockmakers Daughter. 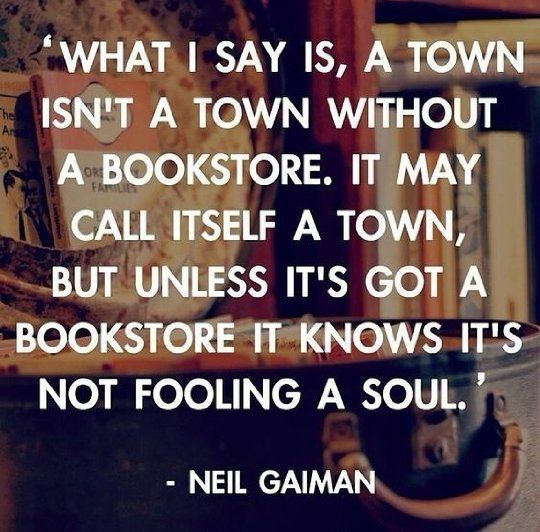 Happy reading friends! I already abandoned On Turpentine Lane after about 6 or 8 chapters. The writing is not good, IMO, and it is one of those books where you go from crisis to crisis. I started The Thin Man and I like it! I think it’s been republished because it’s the characters in the old movies. My daughter says the author also wrote The Maltese Falcon. Interesting!